Fraud is not just one crime in Nevada; instead, there are a variety of crimes you can be charged for which involve fraud. The element they have in common is using an intentional misrepresentation of an important fact for a financial or other beneficial gain. No matter which type of fraud crime you are arrested for, contact an experienced criminal defense lawyer in Las Vegas as soon as possible. Fraud crimes carry high penalties and long prison sentences and require the best defense you can get. Fraud cases are not the easiest crimes to prove, and so law enforcement and the prosecutor will go to great lengths to get evidence against you. You need a partner who can level the playing field. Fraud is intentional deception to gain financial or other personal benefits for yourself. An important component of this crime is that the person who gave you the money or benefit relied on the deceptive action or statement in doing so. What are fraud crimes in Las Vegas, Nevada? Identity theft, which can come in many forms in Nevada for purposes of committing a crime. How are Fraud Cases Investigated in Nevada? Healthcare fraud may be investigated by the Department of Health and Human Service’s Division of Healthcare Financing and Policy. At the federal level, every agency from the Federal Bureau of Investigation (FBI) to the Internal Revenue Service (IRS) may be involved. As you can see, a variety of state and federal agencies are dedicated to investigating and deterring fraud within the state. There are many more agencies involved in fighting fraud in other areas, as well, and for this reason, you need the best criminal defense counsel if you have been arrested for any type of fraud crime. 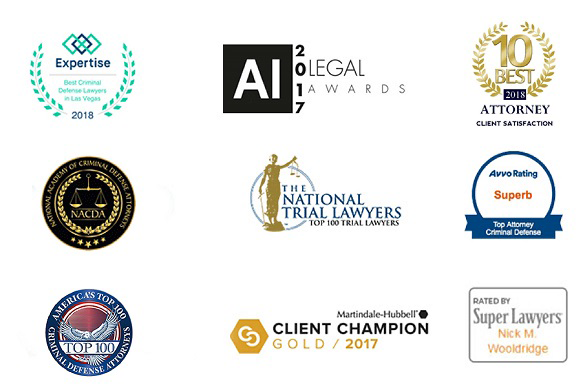 These agencies have significant resources working against you, and your lawyer can help level the playing field. As with any other crime, you are innocent until proven guilty of fraud crimes. You deserve and are entitled to the best fraud defense possible. Penalties for fraud crimes in Nevada range from simple misdemeanors to Category A felonies. This means that for first time offenses, there may not be jail time in some cases, but in others there can be jail time of up to 20 years. Mortgage fraud, like foreclosure fraud, carries 1 to 10 years in a Nevada prison. Because the mail of other channels of interstate commerce are often involved, there is a good chance that the case may be brought in federal court. Fraud is a serious charge that can involve the loss of your freedom and other rights. A qualified Las Vegas defense lawyer can represent you if you are arrested for fraud and can work to reduce your sentence or even dismiss the case entirely. Fraud is a crime of intent that requires a benefit to the defendant. If the state cannot prove intent or that you received a benefit, the fraud charge may not stand. This is a complicated matter that should be handled by a Las Vegas attorney. Read more about identity theft and the possible sentences and defenses. If you are suspected of committing a fraud or have been arrested for fraud in Las Vegas, contact LV Criminal Defense as soon as possible.